I AM REALLY, REALLY SICK OF HAVING CONTRACTORS AROUND!!! Phew. I kind of feel better now. Sorry about that, but it’s been three months since we moved up here, and it seems as if a day hasn’t gone by when there isn’t someone – either a plumber, an electrician, a general contractor, a chimney sweep, a spring/well/water guy, a landscaper, an arborist or, with our luck, a combination of them all – trudging around the property, asking for glasses of water and signed checks. We’re so used to being walked in on, it’s gotten to the point where we consider it a good day if the guy strolling into our dining room unannounced is even wearing a shirt. Anyway, what I really wanted to write about was all the animals around here. I had forgotten, having been in Long Beach for several years, what it was like to live in an area so heavily populated by non-human critters. Sure, we had the typical suburban scourges like racoons, skunks, and the occasional opossum waddling through our lives (and sometimes our kitchen), but nothing like we have out here. I’m not just talking rabbits and mice (which of course are everywhere), but larger things, with pointier teeth. Red Tailed hawks circle the air constantly. Bobcats, which we were surprised to learn have a habit of wandering around, sometimes only feet from the house, have been a regular sight. There are coyotes, as well – but more on them later. These adorable little things started showing up each evening just before dark, apparently to take advantage of our surplus of apples. 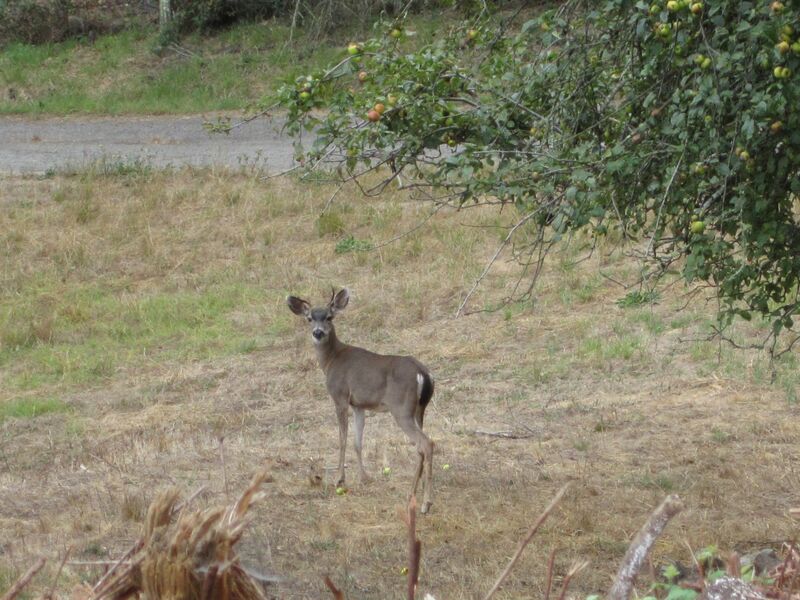 Oftentimes we see them in the middle of the day, looking at us like we’re trespassing on their lawn. As alluded to above, coyotes have been heard, too – packs of them howling eerily in the middle of the night, celebrating after some moonlit kill. 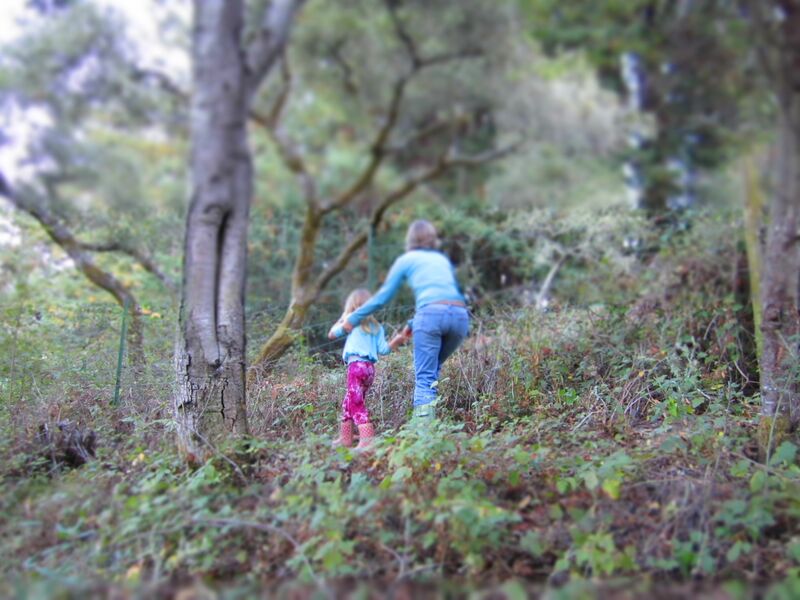 Mostly they remained unseen – that is, until one recent morning, when we caught the tail-end of one slinking across the hill behind our house as we were getting Sarah off to school. The experience was both scary and comical: scary because our cats were out and about (they would be choice snacks for any predator), and comical because of the general demeanor of this normally nocturnal creature. In truth the poor coyote was far from threatening; it had the look of a teenager trying desperately to sneak past his parents on his way to his room upon returning home waaay late for curfew. The whole thing was actually kind of awkward. I felt so bad for the little guy that I almost gave it a cat. 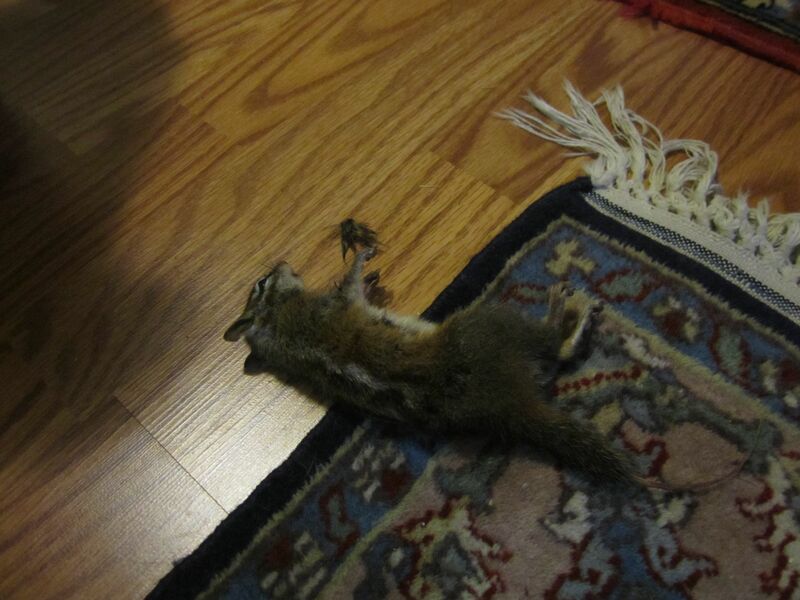 Poor chippy. Sarah made me take this one out and give a proper burial, complete with a stone grave marker. Fortunately she hasn’t seen some of the other things our cats have tormented. Which is not to say that the girl doesn’t have a healthy awareness of death, at least in the “circle of life” kind of way. One of our more exciting experiences, in fact, came last week when we went for a little after-dinner walk around what we call the “upper pasture” – several acres of additional, undeveloped land next to our property that came as a package deal. 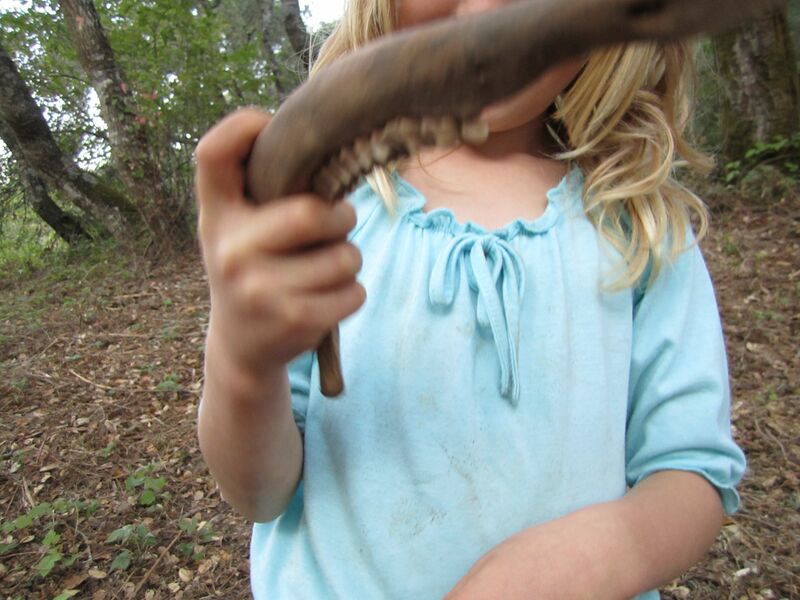 We were happily hiking around, dodging poison oak, when we discovered, in the dry, dusty dirt and fallen leaves, what appeared to be a large section of jawbone. 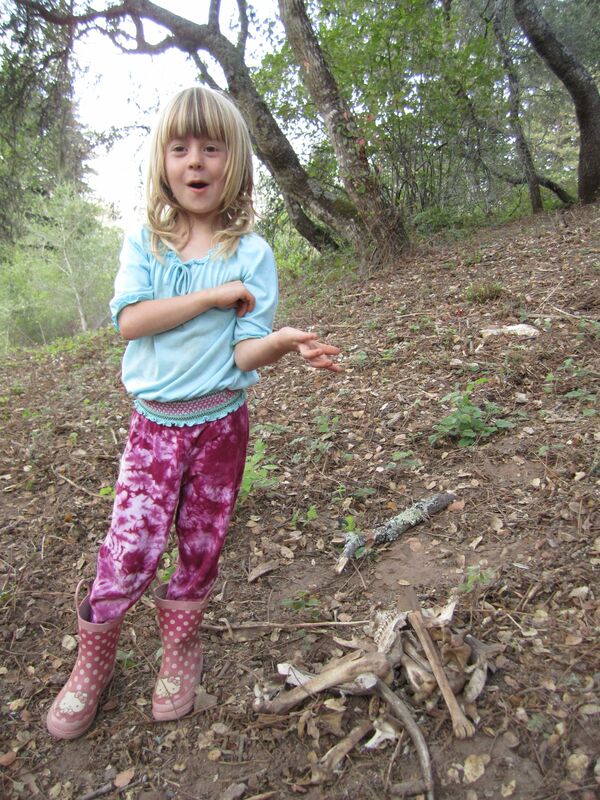 Excited, we went on to unearth almost an entire deer skeleton, including the antlers. 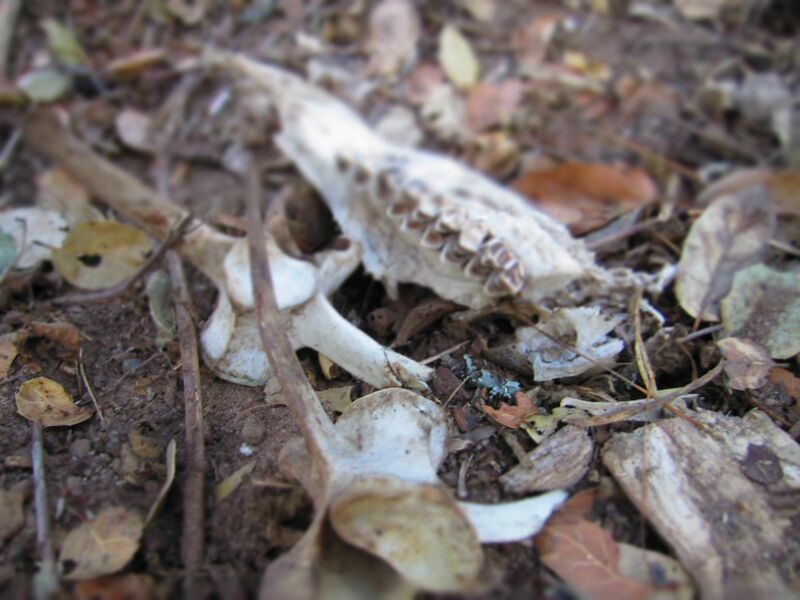 The bones were quite clean, so we surmised that the creature had met its end some time ago, most likely at the hand – er, paws – of one of the aforementioned coyotes. Being the irresponsible parents we are, we of course let Sarah handle everything – without even a single drop of Purell. Someone call DSS! 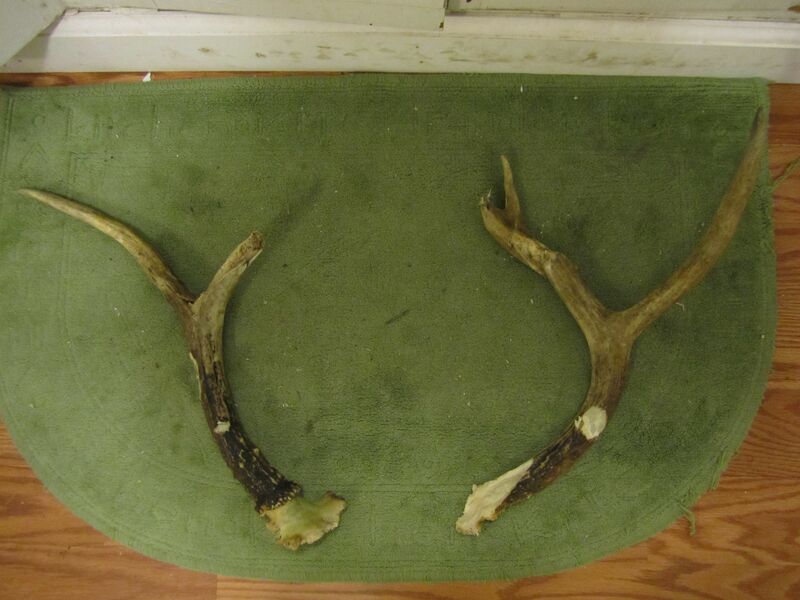 Alright, who ate all the venison? Everything went into a sturdy cardboard box, into which we placed a hand-written note that read: “These have been washed and bleached. They CAN be handled.” The very next day at school we signed Sarah up for the following week’s “Sharing” (what we old-timers used to call “Show And Tell”). That day actually came and went just two days ago, and by all accounts Sarah killed. Apparently the kid who shared after her had brought a rock. Poor kid. 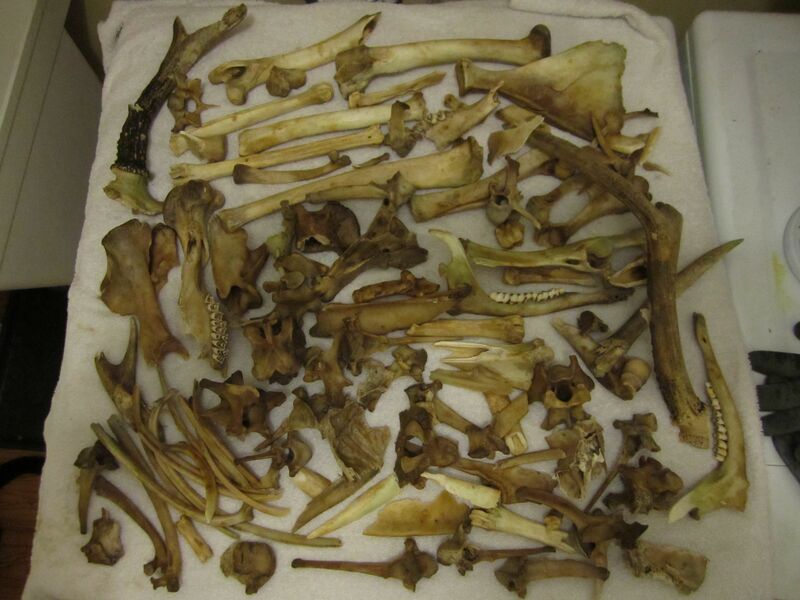 Best of all, we found out that her classmates did handle the bones – and with gusto. There’s hope for the future yet! well it sounds like you went and got yourself a nice peice of the “Wilderness Pie”, as my dad would say (he lives in Dresden Me: about 2 hours north of portland). talk about wild animals!!!!! have fun and enjoy all the earth has to offer.